Husband had to work on our last morning in Swansea so Son and I decided to spend a day at the museum(s). 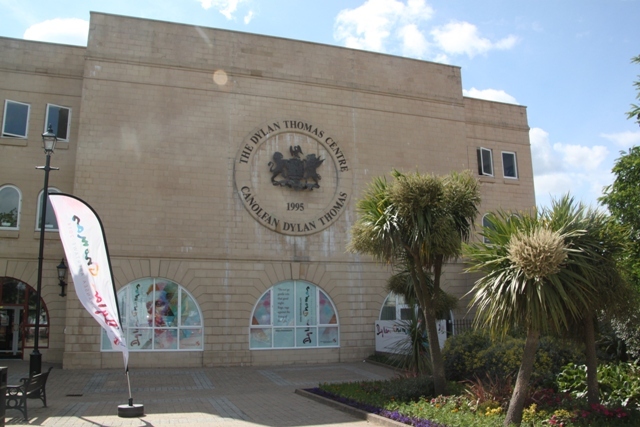 First up was my pick The Dylan Thomas Centre followed later in the day by his choice which was the National Waterfront Museum. Both completely different and both free of charge – a mixed experience in lots of ways but both were worth a look. Thomas, the great Welsh writer and poet was born in Swansea and although he moved away, always retained a special affection for this place. The museum featuring his life and times was our first port of call. Finding it was more of a challenge than I anticipated – a distinct lack of signage meant we seemed to cover the same ground in a fruitless search. 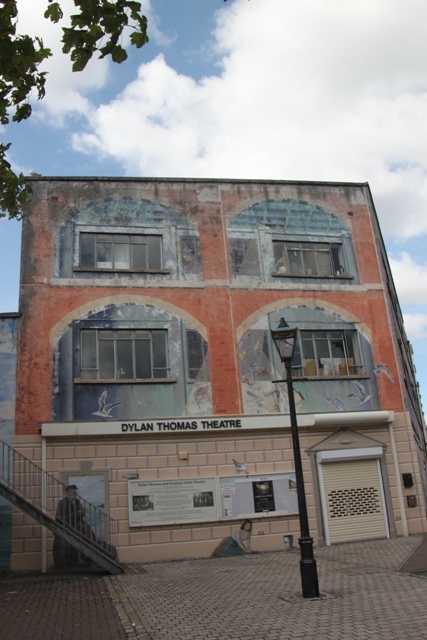 Hopes were raised when we found a building with his name on the side but we’d gone wrong again – this was the Dylan Thomas Theatre. Still, not the giving up types we persevered and determination paid off in the end – we eventually found what we were looking for. Tucked away behind Swansea Museum it could be oh so easily missed. The receptionist was blunt and quite unfriendly, verging on rude actually, but we were undeterred and went inside. The centre was opened by Jimmy Carter (big Thomas fan apparently) in the 1990’s. It takes you through the life and times of Thomas – lots of information, archive material, manuscripts and photos galore to browse. Some great sound recordings too – Richard Burton reading was an unexpected delight. The whole place is quite small and we only spent about 40 minutes inside – I managed to read, listen and look at most of the exhibits in that time-frame. Surprised we got through it so fast, a life lived like that of the literary genius should surely take longer to absorb I thought. Still, every cloud – Son finding it all a bit dry and dull was more than happy to be leaving in less than an hour. No problems locating the National Waterfront Museum – you couldn’t miss this place. 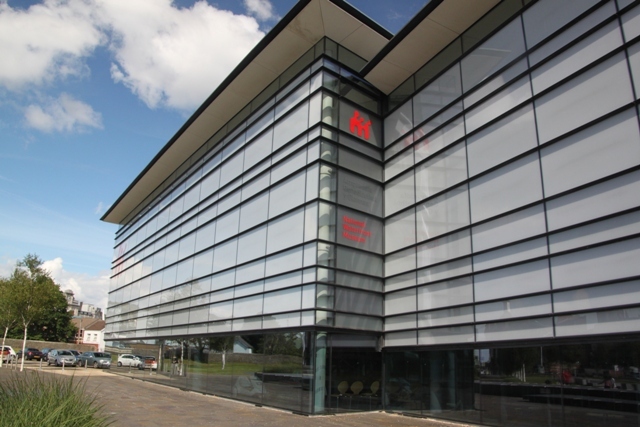 Right on the waterfront it is an eye-catching building – half is a 1901 brick style warehouse and the other half a 2005 style warehouse which is all angles, Welsh slate and glass. With four entrances and fifteen themed areas we figured we had our work cut out choosing what to see first. 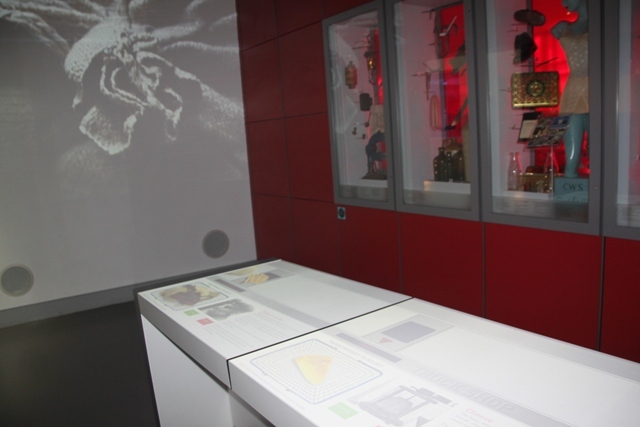 The museum focuses on the industrial, maritime and social history of Wales. It covers some extremely diverse areas – from steam engines to family trees to the history of money. We entered via the old warehouse and I at once loved the mezzanine bridge linking old to new. We noticed though that something seemed to be missing….. people. Don’t get me wrong, packed museums are not our thing but finding the whole place almost completely empty was a bit disconcerting. Perhaps everyone had got lost – easy to locate this museum, not so easy to find your way around. A lack of signs inside and a very hard to read map meant we gave up picking and choosing what to see and just followed our noses. 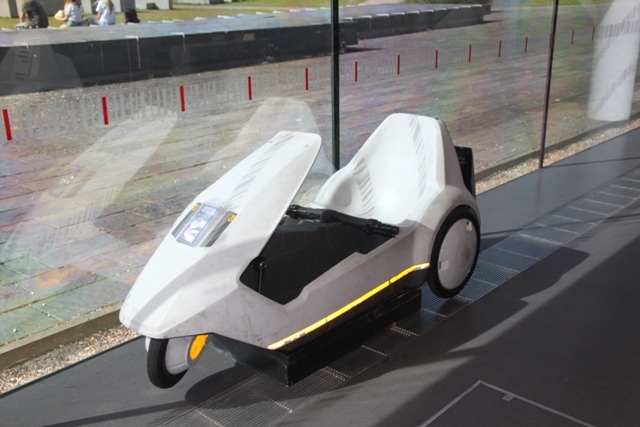 The Open Hall housing all manner of machines – from a steam engine to a Sinclair C5 was my favourite part. We wandered and looked. Upstairs was a maze of corridors, small(ish) rooms and much interactive stuff mainly looking at community and money. Son did enjoy this part – not surprisingly as it involved (in my opinion) an over-reliance on interactive media and linking up to various computers (too many of which didn’t work properly). Too many themes, too many corridors, too many screens – this section left me a bit cold. We spent a couple of hours inside – not all bad but just maybe not quite what I was expecting.Two entirely different museum visits – definitely glad we made the time to visit both, I just left with a slight tinge of disappointment. Both had lots of promise, but I felt neither quite lived up to their potential and billing. A shame really but maybe the reason that despite free entry and in the peak summer holiday season, both places were virtually empty. I love museums so any time I have found one that fails to engage or is a let down in some way I find it incredibly disappointing. What a pity that both museums you visited that day were a bit duff. They weren’t completely terrible, but both left me a bit empty – can’t quite put my finger on it!! 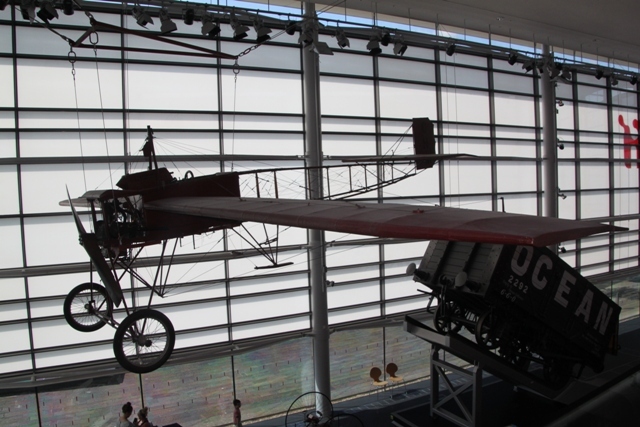 I love museums too – from the traditional to the quirky and everything in between. Not too sure what went wrong with these two!! Sometimes a museum can get a bit stale and tired. The best museums are those that keep refreshing things and innovating in terms of visitor engagement. It makes us appreciate the really good museums, doesn’t it? Your post will cause me to look closer at what makes a good exhibit/museum, too. What draws us in, what keeps our interest, what stays with us after the experience? Yes for sure, when you visit a place you don’t connect with, you certainly appreciate the good museums. These two just didn’t do it for me unfortunately!! Yes anything with screens works for him!! This was so interesting to read, as I love Dylan Thomas but I’m not sure I’d visit that museum based on your experience. How sad that such an incredibly gifted, inspiring poet doesn’t have a museum that does full justice to his legacy. Hopefully this will be remedied someday! Yes I absolutely agree. That said the museum wasn’t terrible, I enjoyed what was there, I just felt that with such a literary genius they should have had so much more! Entrance was free – I would have preferred to pay and have and like you said, visit a museum that does him and his legacy justice. It sounds like the staffs of both these museums need to do some research into the reactions of visitors! It really is a shame, to have such interesting and worthwhile content, but not to present it in the most engaging way. I think the empty rooms spoke volumes! It was a real shame. I know it’s fab!! We are a bit spoilt really here but it encourages you to visit places you might otherwise not bother with. We are definitely spoilt here Rosemary with so many free museums – we absolutely try and make the most of that (while it lasts!!) and have visited all kinds of quirky places we might have thought twice about had there been a huge entrance fee. I usually like any museum as well – these two definitely had good points, we didn’t not enjoy them but something seemed to be lacking….. hope you had a good week and the weekend goes well too!! I do hope the tradition of free museums continues! Presumably with funding costs this might be threatened? Am so looking forward to visiting some museums and galleries in the Uk! With our daughter now in London we’re staying a little longer there than we have done recently (4 days) so am keen to visit some of the exhibitions though any special ones you still need to pay for. Am getting to that stage, less than 3 weeks before we leave, when things start to get a bit stressful! Our elder daughter is having another baby 6 days after we’re due back in Perth (well that’s the due date) so have been running around helping her to get organised and keeping fingers crossed that “baby” isn’t early!! House and pet sitters organised which is always a relief – am much happier if Winston and Duchess have a pet lover to live in with them! You too Rosemary – hope your weekend is stress free – sounds like you have everything in hand for your trip!! Wonderful post presenting this museum.